STUDIO CITY, Calif. - May 10, 2018 - PRLog -- Positive Investments Inc., a real estate investment and property management company based in Arcadia, CA, has acquired a vacant 10-building, multifamily property at 1515 E Rosecrans Ave. in Compton for $12.5 million, according to Henry Garcia of Keller Williams Commercial Studio City who represented the buyer in the off-market transaction. Built in 1986, the 79,373-square-foot property spans nearly one city block and consists of 86 units that are a mixture of one-bedroom, two-bedroom, three-bedroom townhouse, and four-bedroom townhouse floor plans. The seller, a community-based 501(c)3 non-profit, sold the asset to gain capital to buy another property. With Positive Investments already owning a 70-unit property across the street, acquiring another property fit well with the company's investment strategy to build scale in the area and to fill the need for the broad array of housing needs for those living in South Los Angeles, according to Garcia. "This is the tenth property our client has acquired in this area in the past six months," said Garcia. 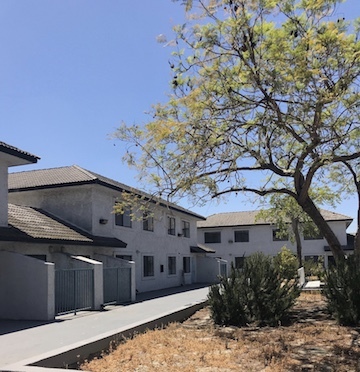 "Positive Investments plans to undertake a major capital improvement program to transform the asset into a hybrid housing community which will include a mix of special needs, low income Section 8 and market rate units." The seller was represented by Steve Mortitz and Joe Cilic of Sotheby's International Realty.